Is there an exotic location sitting on your bucket list, just waiting to be scratched out? If you haven’t yet found the time—or the money—to make your travel wishes come true, don’t worry! 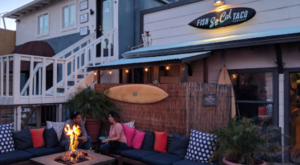 You can find places around the state where you can get a taste of that exotic locale without shelling out wads of cash on an updated passport and airline tickets. If a visit to the African continent is one of the many places on your bucket list, you’ll definitely want to make an attempt to visit! But, in the meantime, an affordable option to explore the continent’s savannas exists right here in Arizona. 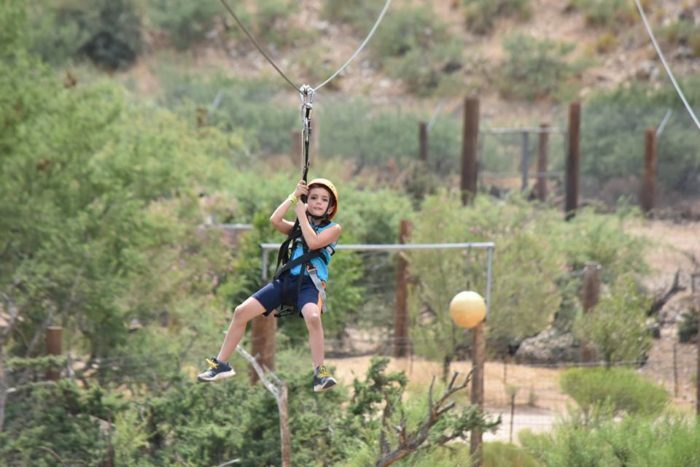 You’ll find such an experience at Out of Africa Wildlife Park, where the Predator Zip Line allows you to soar above the park and see the animal habits from a bird’s perspective. Let’s pretend you’re a bird of prey, like an eagle or a buzzard, to stay with the predatory theme. 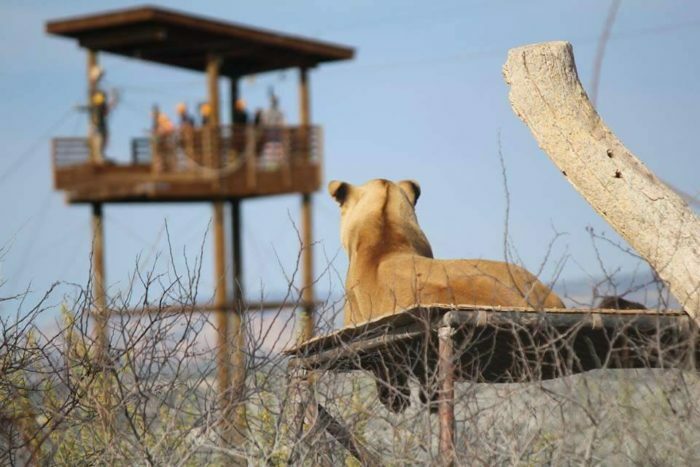 The epic zip line opened in 2013, an exciting addition to the popular wildlife park that already offers safari rides and opportunities to interact with wild animals. 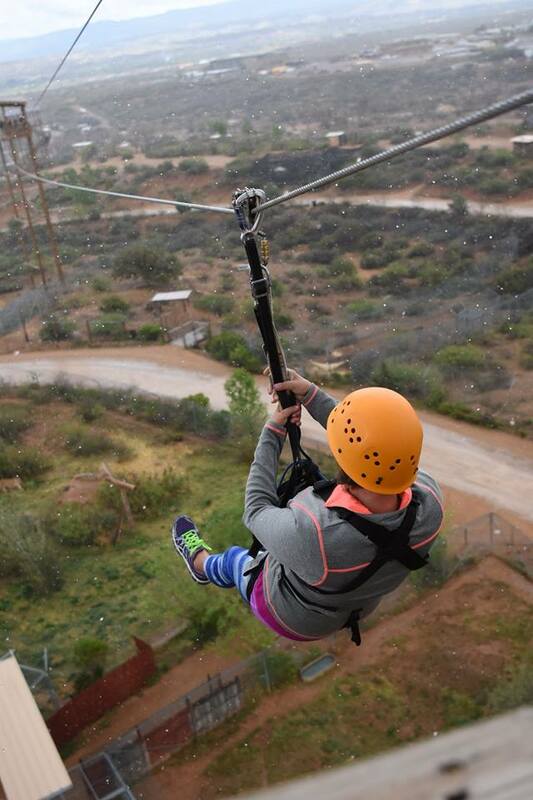 The zip line has five lines and a rope bridge, zipping you from 75 feet in the air to ground level at speeds as fast as 45 miles per hour! 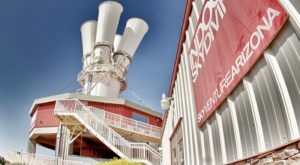 During your experience, you’ll fly over the animal habitats, watching lions, tigers, and bears lounging and eating. In some cases, you don’t even need to worry about blinking! The animals will seem almost close enough to touch. Even the kiddos can enjoy the ride! 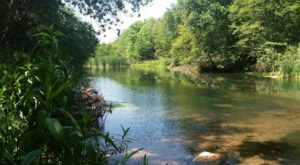 All participants must be at least 8-years-old and weigh between 60 and 275 pounds. 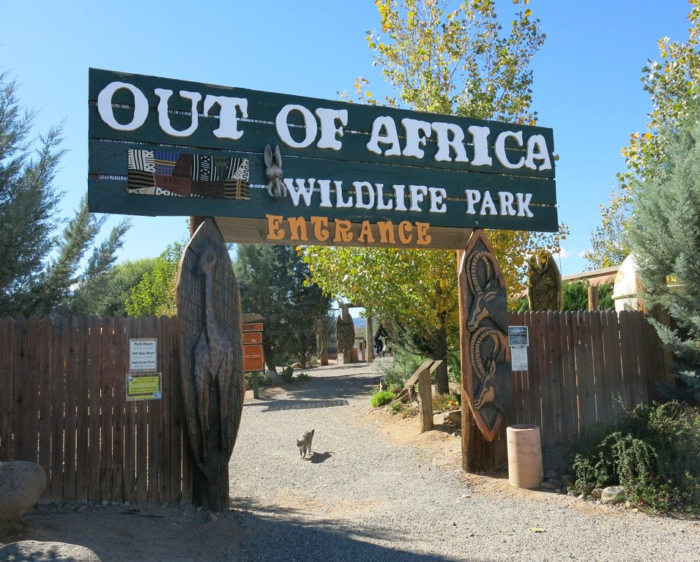 Curious what an experience at Out of Africa Wildlife Park and on the zipline is like? Check out this short video from Youtuber riceburner480. 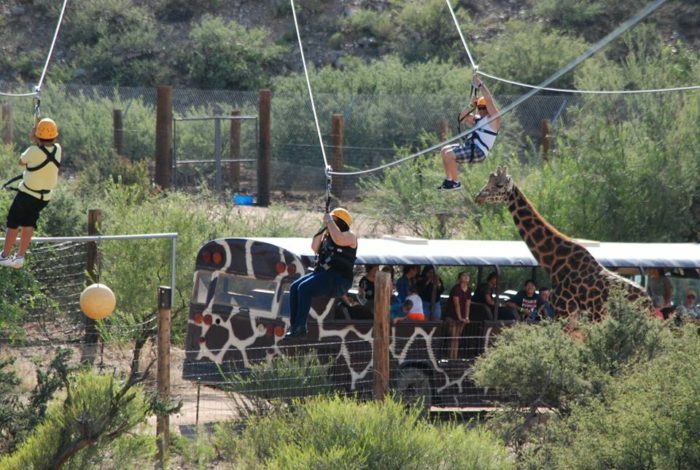 Predator Zip Line is located over the Out Of Africa Wildlife Park in Camp Verde. 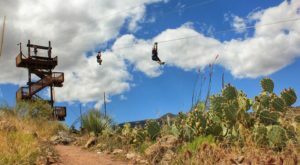 You can find details about pricing, book a tour, and more by visiting their website, predatorzipline.com. 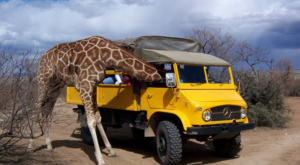 For more information about the Out of Africa Wildlife Park, visit their website, outofafricapark.com. 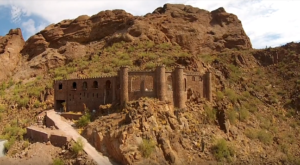 Want to check out another amazing adventure that you can easily experience here in Arizona? 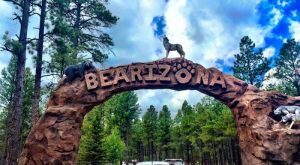 Read about Flagstaff Extreme in There’s An Adventure Park Hiding In The Middle Of An Arizona Forest And You Need To Visit.